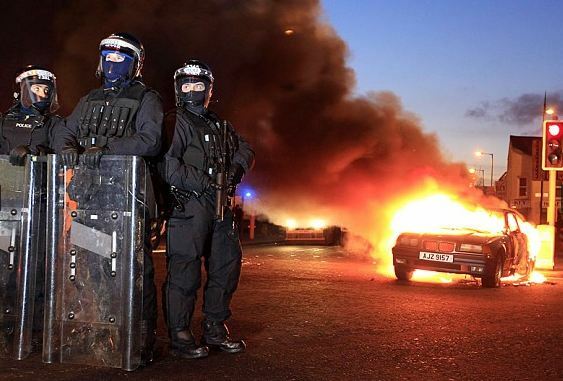 Reuters is reporting that Northern Ireland was hit by a new wave of street violence overnight on the eve of annual parades. This is demonstrating that there remains underlying tensions between pro-British Protestants and Irish nationalist Catholics in the British occupied region. Vehicles were set on fire, petrol bombs were thrown, and roads were closed off in violence in several towns. The parade marks the 1690 victory of Protestant King William of Orange over Catholic King James of England. Therefore, it feeds right into the conflict between the Protestants and Catholics which has existed since the time of Henry VIII’s seizure of the Catholic Church to affect the divorce he was being denied. The first death in the conflict in Belfast is disputed involving Francis McCloskey (aged 67) who died one day after being hit on the head with a baton by a member of the Royal Ulster Constabulary (RUC) during street disturbances in Dungiven, County Derry on Sunday, July 14th, 1968. The official first death was the fatal shooting of a Catholic on Thursday, August 14th, 1969. The person was John Gallagher was shot dead by the Ulster Special Constabulary (‘B-Specials’) during street disturbances on the Cathedral Road in Armagh. John Gallagher is recorded as the first ‘official’ victim of tensions in Northern Ireland. The first Protestant Civilian to be killed took place on Friday, August 15th, 1969 named David Linton (aged 48) who died after being shot by a Republican group during street disturbances in North Belfast. The actual first members of Irish Republican Army (IRA) to be killed took place on Friday, August 15th, 1969. His name was Gerald McAuley (aged 15), who was a member of Fianna Éireann, which was the youth section of the Irish Republican Army (IRA). He was shot dead by Loyalists during street disturbances in the Lower Falls area of Belfast. From a cyclical perspective, if we begin on August 15th, 1969, then we are concluding a 51.6-year wave on 2021.2219178, which will be March 22nd. 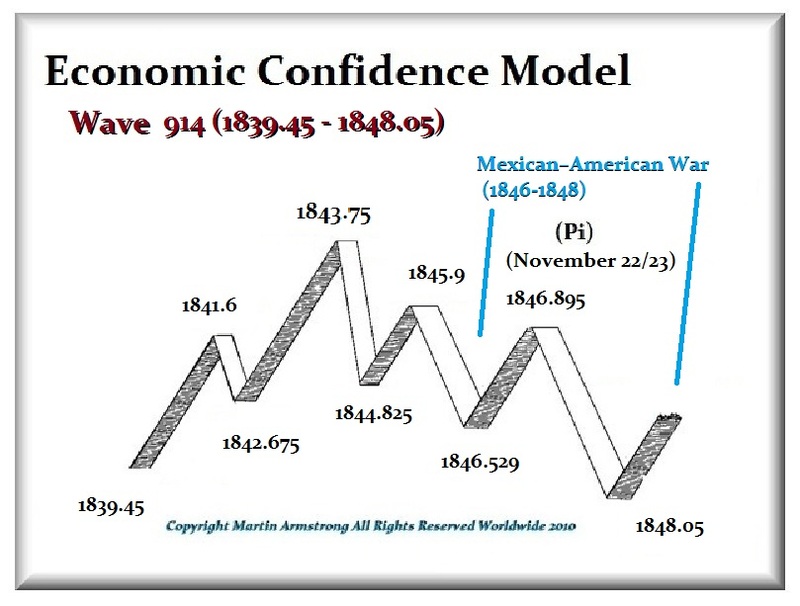 It is lining up with the Economic Confidence Model and the Monetary Crisis Cycle. Therefore, the violence will reemerge with a new trend once again driven by economics. Violence has continued sporadically but it has been rising gradually again since 2013. 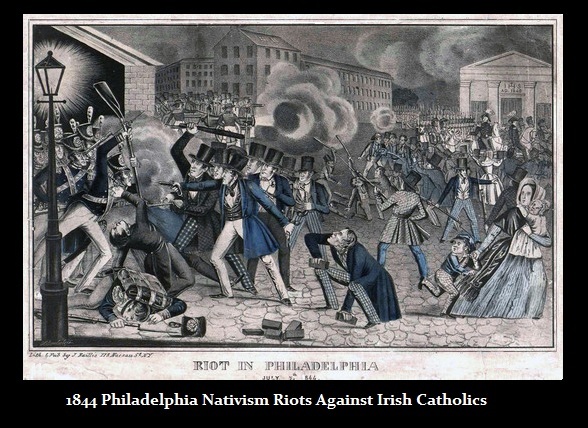 The violence against Irish Catholics in America erupted in 1844 during the Sovereign Debt Defaults of states and the economic decline in the aftermath of the Panic of 1837 (Dates of ECM Waves). When Andrew Jackson shut down the central bank, the Bank of the United States at that time, all banks began to issue money of their own. The economy was flooded with frauds and nobody knew what banks were real or safe. As banks failed, the States tried to bail out the banks to save their economy and they too were pushed into default. The Depression that followed raised unemployment and violence.